Hi everyone! 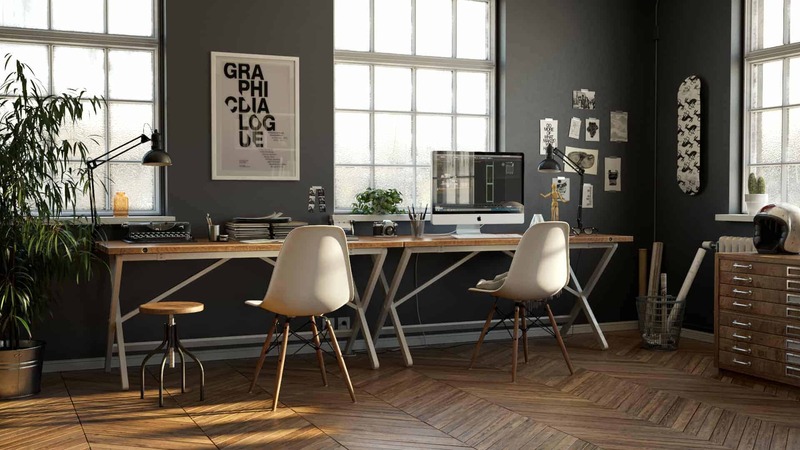 I ‘m Thomas Deffet, a 3D artist specialized in 3D Visualization from Belgium. I ‘ve created this noncommercial project in my free time to learn new things and improve my skills. I was inspired by the industrial loft and workspace. In this project, I focused on the industrial style and I had a look around the web just to find my source of inspiration. I searched for lofts, offices and work spaces in which we can find objects such as tools, helmet, bicycle, etc… in order to have a better idea of what I wanted to do. I tried to have a linear styles arrangement in my projects. So I tried to create a main dominance color. In this case, I chose the green, the grey and the brown colors. To achieve it, I used different kind of materials like leather, wood, plant and different green objects. I used 3Ds Max for modeling, Vray renderer for rendering and Photoshop for the postproduction. I am always trying to create something interesting but like everybody, I often use some 3d models from pre-made libraries(Evermotion, 3dSky, etc.). This is a reason for the similarity between several visualizations which we see on the forums. In order to create something different, I took time to modify, add details and even create some of them from scratch, just to add my personal touch. People are responding very well to this project and I received many positive feedbacks from different forums. I have to say thank you to Vrayworld and Cgvertex for their support. I learn something in every project. I try to pay attention to every details and keep pushing myself further and further in experimenting new things, new tools, etc. My name is Thomas Deffet. I’m a CG artist specialized in 3D architectural visualization from Belgium. In 2003, I decided to study Graphic designer specialized in 3D. I began to work in 3D architectural visualization during my internship and in my spare time, I did more and more high poly work and started to concentrate on photorealism and architecture. Now I’m using 3dsmax and Vray but I always try to learn new tools, pipelines, workflows or leaning towards technical work, to keep my workﬂow as smooth as possible. Actually, I’m living in Belgium and I’m looking for interesting projects in Freelance but I’m also willing to relocate for an attractive company. See more of my works on Behance or my website.